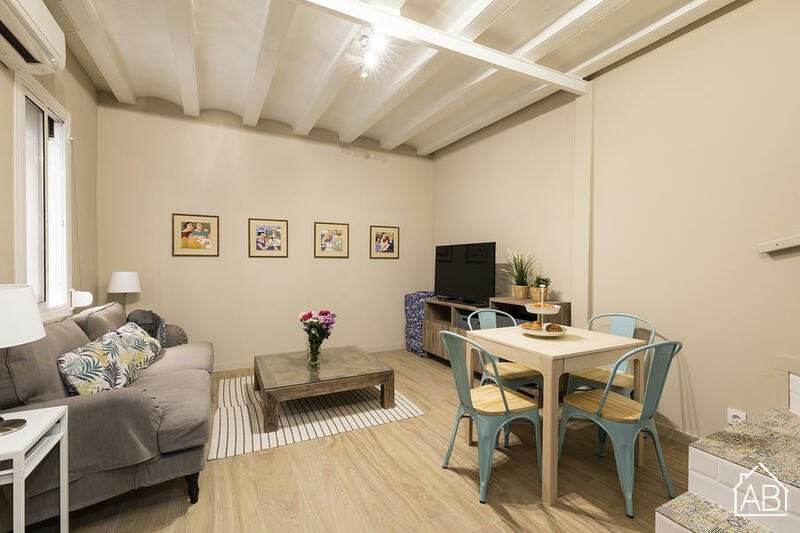 Just a three minute walk from Barceloneta metro, this cosy mini house style property offers guests the chance to live in the heart of one of Barcelona´s oldest neighbourhoods. This property has two bedrooms and can sleep up to four people across one double bed and two single beds. It has two bathrooms. With its modern design, this homely property also has a TV and sofa. There is a fully-equipped kitchen with coffee maker, oven, microwave, and kettle. Barceloneta neighbourhood is perfect for those who want to experience a local feel to the city, especially its fishing past. It is also a well-connected neighbourhood with the L4 metro stopping reguarly at other beach stops in the city.